What are the three levels of sports acupuncture? How do they build upon and work with one another? In sports acupuncture, our time falls into three main categories: injury, recovery and performance. These three categories work together and can be thought of as a pyramid with injury on the bottom, recovery in the middle, and performance at the top. Each level of sports acupuncture has a unique purpose and set of treatment goals. Each level also has its own sublevels — or phases — which build upon each other in the same way. The Injury phase of the pyramid has three unique stages: pain, weakness and strength. Each process is equally important, but as acupuncturists, we tend to spend most of our time focusing on pain. While pain may the driving factor behind many of our athletes seeking our help, relieving pain is only a small part of what we aim to do in sports acupuncture. In the treatment of pain we often focus on musculoskeletal conditions and orthopedic acupuncture. This is only a small part of sports and performance acupuncture. Sports acupuncture is a greater field which includes orthopedic acupuncture, not vice-versa. Orthopedic acupuncture is important in the pain stage. This is where trigger points, motor points, manual muscle evaluations and palpation examinations are amazing tools to have. 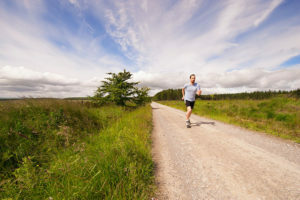 We can quickly get an athlete out of pain using orthopedic acupuncture methods, but what we do next–in the weakness stage–is just as important. The pain may be gone, but that doesn’t mean their muscles are working at 100%. At this point, we can say the muscles are “turned off”. We need to choose treatment methods that will turn them back on. This “turned off” state connects to what’s known as “competitive plasticity” (use it or lose it). If you don’t use a particular skill or set of neuronal connections, your brain will re-purpose them to be used for something you are using more regularly. If you hurt yourself (for example, if you sprain your ankle), the brain will try to stop using that muscle to allow it to heal. In doing so, the brain “turns off” the neuronal pathways that tell your ankle’s muscles to work. A muscle might also be considered weak if there is damage to the proprioceptive system. (Proprioception is the sense of knowing where your body part is in space.) Your proprioception capabilities can be impaired when a joint tendon or ligament is injured. This is where the proprioceptors are located. An injury like an ankle sprain can damage the ligaments neurotendinous spindle that lie at the origins and insertion of skeletal muscle fibers and into the tendons of skeletal muscle. When you lose proprioception of your joint after an ankle sprain, you may experience an unstable sensation of the joint. Your joint may even give out. When treating weakness, you can use orthopedic techniques, but you’ll often find distal methods or press tacks to be more effective. After you get rid of pain and restore muscle strength, you are able to move to the “Recovery” phase. Most of this is controlled by the parasympathetic nervous system (PNS). When an athlete is training hard, they’re taxing their sympathetic nervous system (SNS); afterwards, they need to switch over to the parasympathetic nervous system (PNS) to rebuild and regenerate. The body’s sympathetic nervous system and parasympathetic nervous system balance each other out. The SNS is catabolic and mobilizes the body’s resources to help the body “fight or flight” threatening situations. This system is upregulated during workouts. The PNS is anabolic and helps the body rest, digest, and recover after workouts. Many athletes are especially vulnerable to being in a sympathetic-dominant state due to increased stress load. The chronic physical and mental stress that they experience may overtax their body’s ability to adapt and maintain homeostasis. 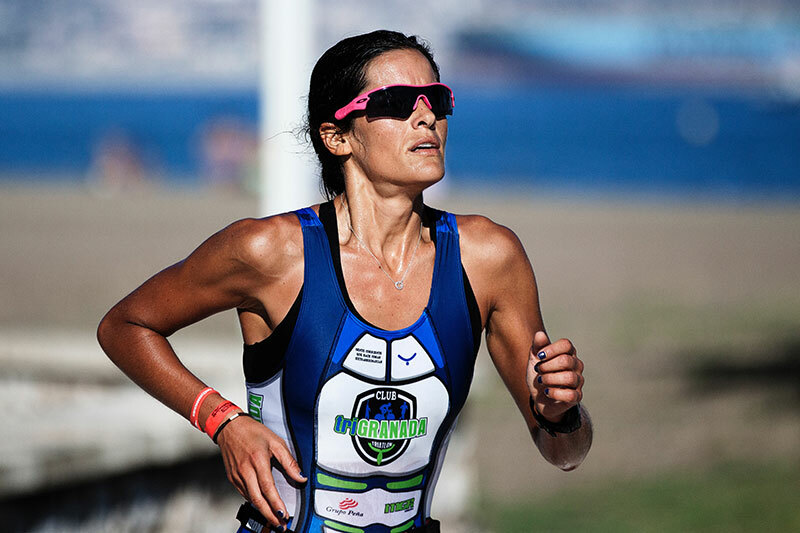 Therefore, this type of athlete is more likely to experience challenges with recovery. The above is especially true if restorative techniques are not utilized to minimize sympathetic dominance and strengthen the parasympathetic response. During the Recovery phase, we are focusing on managing the PNS. We are watching and treating issues with sleep, digestion, and the immune system. We are also watching and treating issues in range of motion and muscle imbalances that are often the results of sport-specific movements. The top level of the Sports Acupuncture Pyramid is the Performance phase. The Performance phase culminates on the day of an event or athletic performance, but it can also include up to two weeks leading up to the event. Most athletes will begin to taper or decrease training intensity during this time period, so focusing on recovery becomes less important. Instead, now is the time to treat the spirit; shift your focus to the mental game. Stress: Does the athlete perform better under stress, or does stress decrease their performance? Where do they feel gameday stress the most: physically or mentally? Russian sport psychologist Yuri Hanin suggested that different athletes had different levels of pressure at which optimum perform­ance occurs. He called these “zones of optimal functioning”. Some respond well to high tension and pressure; others do not. An athlete needs to learn what zone is best for him or herself. Confidence: Check in about internal motivations, positive vs negative attitudes, and feelings of self-confidence. Burnout is most common in athletes who feel like they’re playing for external motives, such as college scholarships or verbal commitments. Athletes who have a personal attachment to the sport or other internal motivations are much less likely to feel burned out. 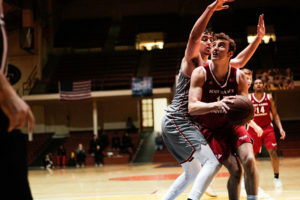 Focus: The ability to maintain a state of full concen­tration is vital to top athletic performance, particularly during a key game or tense moment. Visualization, for example, is a well-known technique in which the athlete imagines specific, important game-day situations as vividly as possible. When that specific situation occurs, the athlete feels better prepared, having already worked through the situation mentally. The day of an athletic event is not the time to do any major treatments. Treatments are kept to less invasive procedures, such as ROM evaluation and soft tissue work with Gha Sha, or cupping to help warm up tight areas. Press tacks or kinesio taping to clean up proprioceptive imbalances that are still present at that time can also be useful day-of. 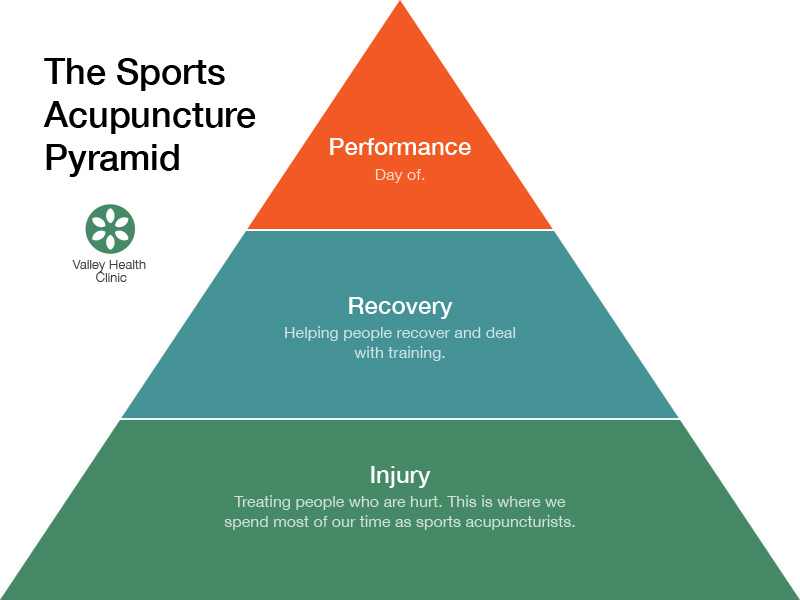 The Injury level is the base or foundation of the sports and performance acupuncture pyramid. This is where we tend to spend most of our time. A patient comes in with an injury. We treat the injury directly to relieve pain, overcome weakness and restore strength. Pain. At the very bottom of the pyramid is the Pain phase of the Injury level. Before we can do anything else, we need to relieve the patient’s immediate pain. Treatment goal: Relieve pain. Weakness. Treatment of an injury doesn’t end with pain relief. Once pain is resolved, the patient still has weakness in the injured area, where the muscles are essentially “turned off”. Treatment goal: Evaluate and overcome weakness. Strength. Finally, once you’ve overcome weakness due to the injury, the patient can work to regain full strength. Treatment goal: Regain strength. The middle level of the pyramid is Recovery. This level comes after Injury and before Performance. It is where we spend most of our time second to the three phases of the Injury level. Treatment doesn’t stop once an injury has healed. 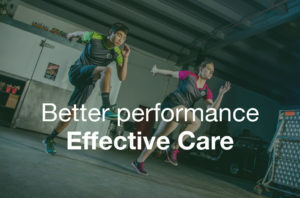 After an injury is resolved, the patient enters the Recovery level, which is where you can help them reintegrate into normal training and activity healthily and safely. Recovery focuses mainly on range of motion, sleep and digestion. Range of Motion (ROM). As the patient heals, they begin to tax their sympathetic nervous system with training, which can cause imbalances. To continue to increase strength in the affected area and make sure it heals properly, we focus on range of motion. Sleep. As the patient recovers, they need to switch their focus to the parasympathetic nervous system in order to heal from the taxes they’re putting on their sympathetic nervous system. This means focusing on improving sleep quality. Digestion.Another crucial part of the parasympathetic nervous system is digestion. As the sympathetic nervous system gets put to work with increased training, more focus on improving digestion is needed to recover. The top of the pyramid — Performance — is where we tend to spend the least of our time, but where we should try not to neglect important aspects of patient care. Finally, the patient isn’t in pain, they’ve worked hard to train healthily and to avoid further injury, and now it’s the day of. Now, our job is to address and treat the spirit: fears, motivation and focus. Stress. When treating the spirit, it’s important to identify and address any fears or Levels of mental, emotional physical stress that might hinder—or improve—performance. Motivation. Identify and create a focus around what makes the patient want to succeed and perform well. Focus. Identify and address any distractions that can detract focus and energy away from peak performance the day of.